The Clash were the most musically talented and gifted of the punk wave in the late 70s. Pete Townshend saw them as the future of music, replacing the Who with their energy and excitement, and for a while the Clash enjoyed both underground respect and commercial success. 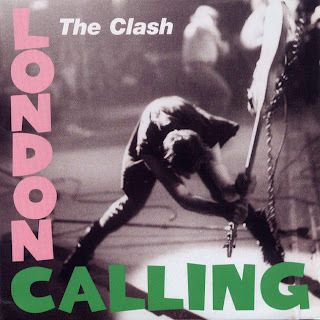 London Calling is one of their best, and the cover is so powerful because of its use of the Elvis Presley-style lettering (harkening back to Elvis' debut album) but also from the sheer kinetic energy of the guitar about to be smashed on the stage, with all the furious might of Mick Jones behind it.